This case was summarised following the first decision in 2011 which was then appealed. A coach driver had travelled along a minor road and stopped at a T-Junction intending to turn right into a single carriageway A-road. There were road works and temporary traffic lights to the left of the junction behind which there was a queue of stationary traffic. A larger tractor stopped to the right of the junction and left a gap. Two motorcyclists filtered up the offside past the queue of traffic behind the tractor and trailer. One motorcyclist remained behind the tractor and trailer but the lead motorcyclist pushed on. The coach driver pulled out at an angle slowly . The motorcyclist travelling at 20mph filtering past the tractor collided with the coach.. 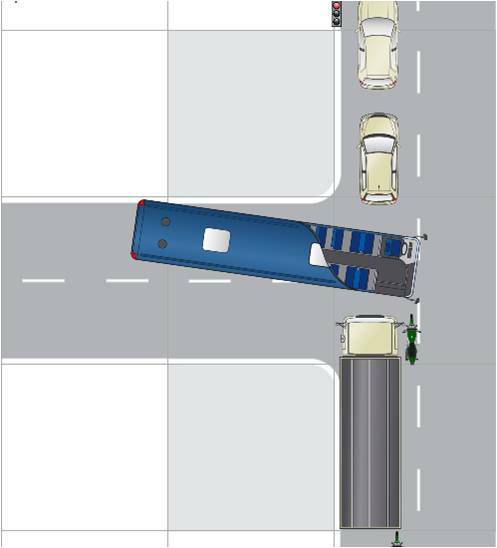 The coach driver was at fault for moving into a gap when she couldn’t properly look out for other road users overtaking on the offside and she should have waited until there was a smaller vehicle on her right which didn’t obscure her view. The motorcyclist was familiar with the road and overtook at 20mph when the other motorcyclist remained stationary. A speed of 15 mph would have given the motorcyclist more chance of avoiding a collision. Motorcyclist 50% to blame Coach Driver 50% to blame.